Heavy textbooks may be on the way out, given the increased use of tablets, e-readers and other tech for students, but the weight of those laptops, tablets, chargers and other items add up quickly. Choosing the right bag to carry your gear is key. Whether you’re hiking across a big college campus or roaming the halls of your high school, you need a bag that’s functional as well as fashionable — after all, you’ll be lugging it around most of the day. We found half a dozen bags designed to carry the load and protect your electronic gear. Find the one that best suits your style. If you’re looking for a lightweight backpack, the Aero Small Laptop bag fits the bill. Padded shoulder straps give it a comfortable, secure fit, and the water-resistant micro ripstop polyester means no worries if you get caught out in the rain. 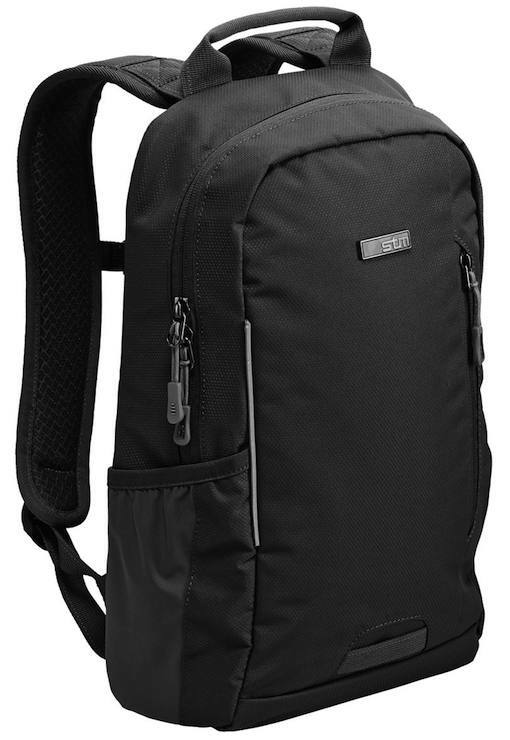 This isn’t a very bulky backpack, yet it safely holds up to a 13-inch laptop as well as chargers, books, headphones and everything else you need to carry. 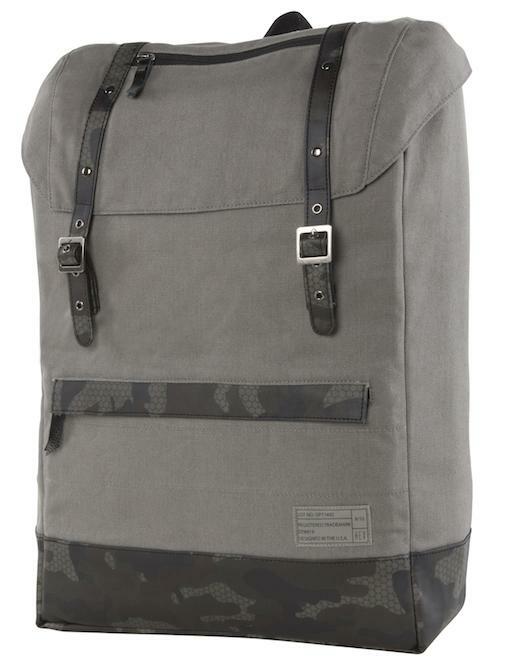 It has two side pockets: one for your water bottle and the other for an umbrella on rainy days. I particularly like the organizers and key ring on the inside so you don’t have to dig through all the pockets — and there are many — looking for where you stashed your keys. If you prefer a tote-style bag, the Ogio Lisbon transports your gear safely while still looking stylish. Its interior padded compartment can accommodate up to a 13-inch laptop with space for textbooks and notebooks, as well as organizer flaps for small, easy-to-lose items such as pens, chargers or even lipstick. 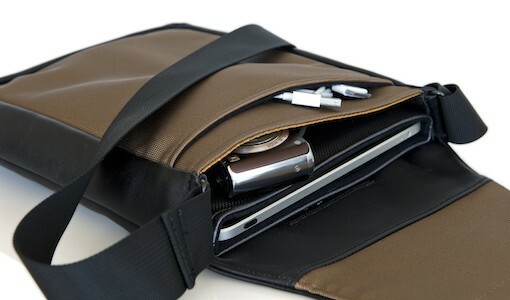 A zippered, padded pocket on the exterior securely holds a tablet or small devices, and two outside pockets provide room for items like keys and snacks. 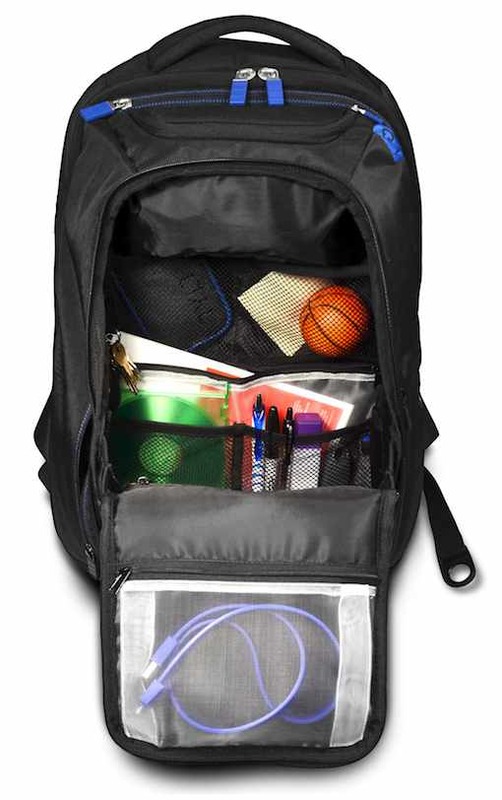 The bag is made of lightweight nylon and comes in a variety of colors. I particularly like the mesh water bottle pocket located on the outside of the bag — easy access for hydrating on the go. When you’re in the market for something a little more upscale, look for the WaterField Muzetto Leather Bag. Made of soft, supple leather, it feels and looks sophisticated enough to wear out to a party after class is over. 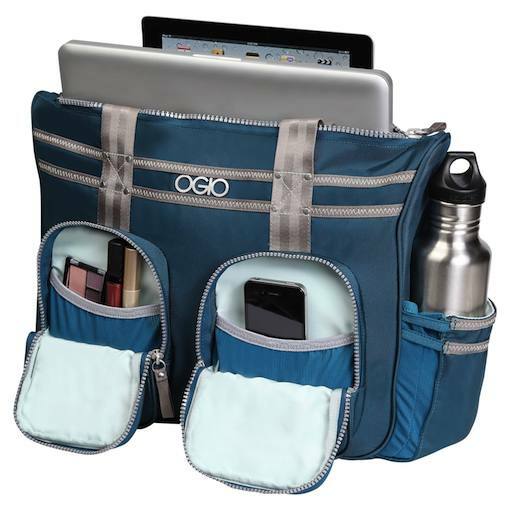 The bag is styled more like a messenger bag and holds either a tablet or laptop in vertical mode. The adjustable shoulder strap feels comfortable and doesn't fall off the shoulder when you're walking. I appreciated the open sleeve on the part of the bag that faces your body, perfect for tucking away gym clothes or a light sweater. An inside zipper compartment reveals pockets for your phone or other small items that you might prefer to keep separate from your laptop. What I like about WaterField Design bags is you can custom order the size you want in any particular color combination. So if you only need room for an iPad or 10-inch tablet, choose the smaller (and less expensive) portable size. The 13-inch version seems to be the sweet spot if you have a MacBook or similar laptop and still want some room for pads, books, chargers and even a snack or two. Another thing I really like about this company is the fact the bags are made in the USA. If you can’t seem to make it through the school day without charging up your devices, the Tylt Energi+ Backpack will suit your high-powered needs. It’s a backpack with a battery built right in, turning you into a mobile charging station for all your devices. You get two USB ports for charging phones, one higher amp USB port for charging tablets and a 10,400mAh battery to recharge them all. Keep your device tucked into an external pocket, if you like, and simply route the cables to the battery inside. The battery itself will fully charge in seven to eight hours. The inside of this backpack is roomy with a soft, lined laptop compartment than can hold up to a 15-inch laptop. A tablet pocket provides access to your device without making you open the entire backpack. This bag is loaded with pockets for snacks, water bottles and even a change of clothes if you’re headed to the gym. If you call Seattle or similarly rainy climates home, the Hex Outpost Cloak Backpack will keep your electronics safe and dry. Sure, it holds a 15-inch laptop and has tons of pockets for other gear, but I love the water-resistant exterior and the interior drawstring liner underneath the top flap that keeps rain from trickling in. Hex products don’t come in bright, fun colors. Instead they focus on form and function with details like leather zip pulls and surplus-grade web straps in a handsome slate grey canvas. Another nice touch: Magnetic snaps provide easy access without your having to open and close the buckles on the straps. After a full day of classes, it's time to head off to your job or internship or a night out with friends. You don’t need your backpack with all your school supplies, but you would like something to carry your phone, some money and credit cards, your keys and maybe some lip gloss. The ChicTech Leather Wristlet holds all those items. Even better, you don’t need to worry about draining your phone battery while you're out. The wristlet offers a built-in 4000mAh charger—enough juice to fully charge even the largest phones—with micro-USB, 30-pin and Lightning tips; simply charge your phone as you carry it with you. 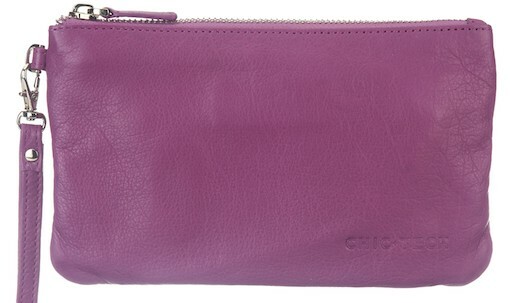 The wristlet comes in purple, pink, black, ivory and red.